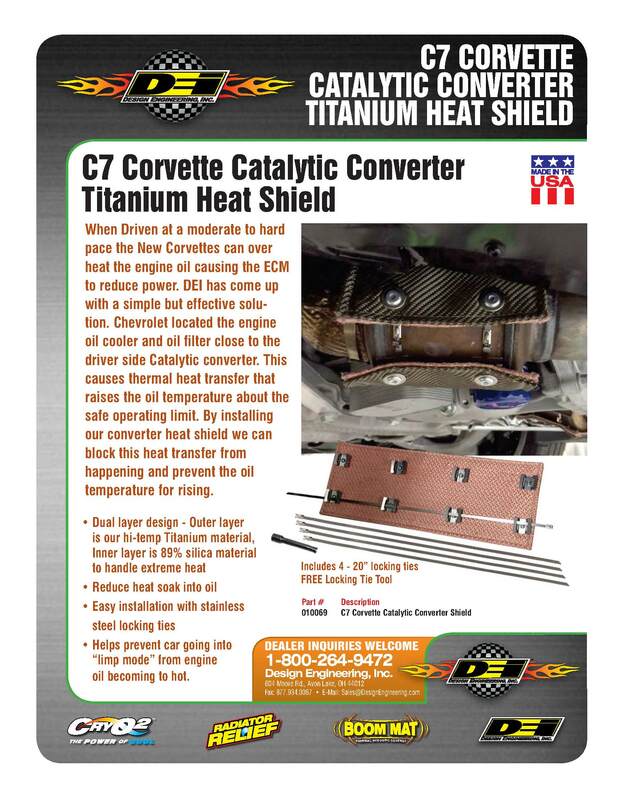 Prevent catalytic converter heat soak from raising your oil temperatures. Due to the location of the stock converters heat soak that can raise your oil temperature on the track is a common concern. 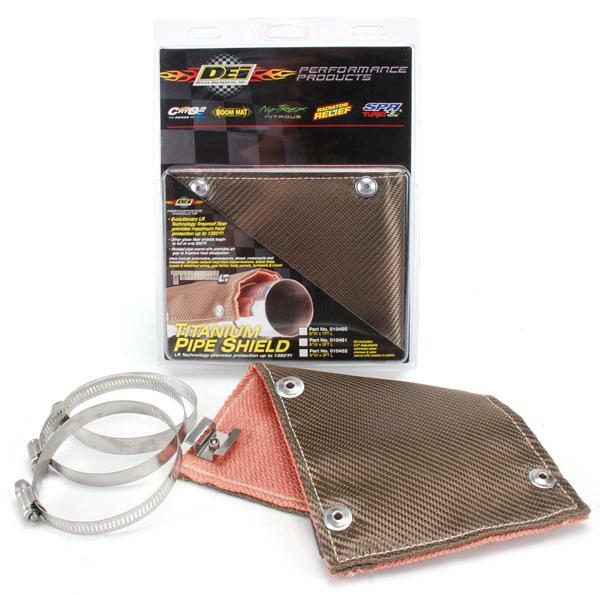 Help prevent elevated oil temperature with DEI TITANIUM PIPE SHIELD. DEI’s Titanium Pipe Shield combines the high heat tolerance of DEI’s proprietary LR fiber technology with a unique rivet-based clamp shield design to improve heat dissipation and cooling. Titanium Pipe Shield provides heat protection up to 1350°F. LR fiber technology is a two-ply material. The outer layer is made from pulverized and stranded lava rock into a proprietary tightly woven weave for durability and strength. The inside material is made of a special high temperature resistant fabric (89% silica) designed to withstand 350 degrees more heat than glass fiber. This proprietary fiber technology combined with DEI’s unique shield standoff bracket design provides an air gap between the shield and pipe that together provides the maximum potential for cooling and heat dissipation. Last edited by Xplosive Performance; 03-05-2016 at 09:26 AM. Do you need 1 or 2 for C7? All times are GMT -4. The time now is 10:28 AM.